i have real trouble making soup taste like how i want it to taste. tomato soup? yum, except it was gross when i made it. squash soup? yum, except my first time did not go well. recipe soup is fairly good (smashed potato soup – nomg) and chile is an exception – that always tasted like i want it to taste. 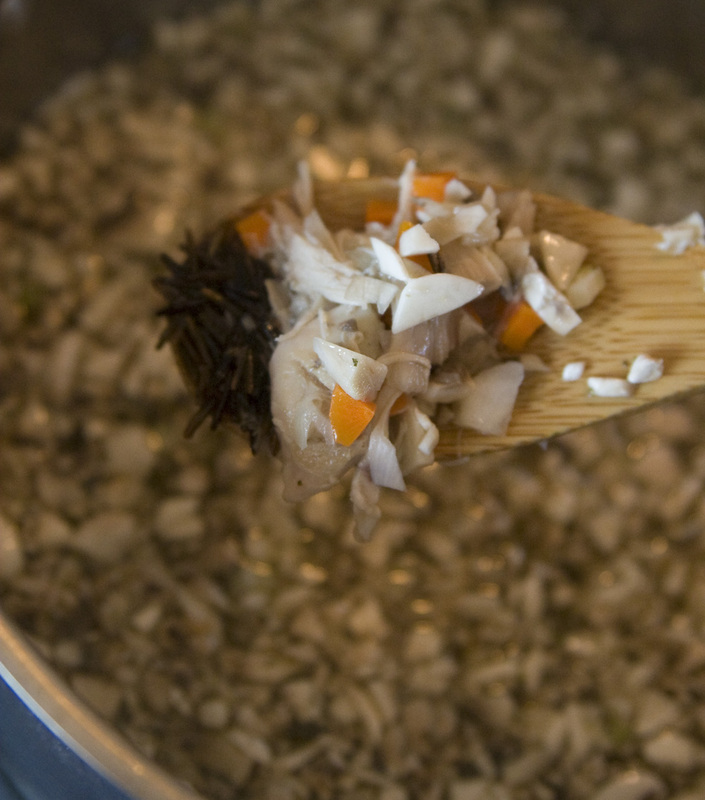 well today i made chicken wild rice and it turned out awesome. i had some chicken soup bones from last year’s farmers’ market that needed to be used. there was some back meat and some chicken necks in there. i put it on the stove and let it simmer for about 4 hours. 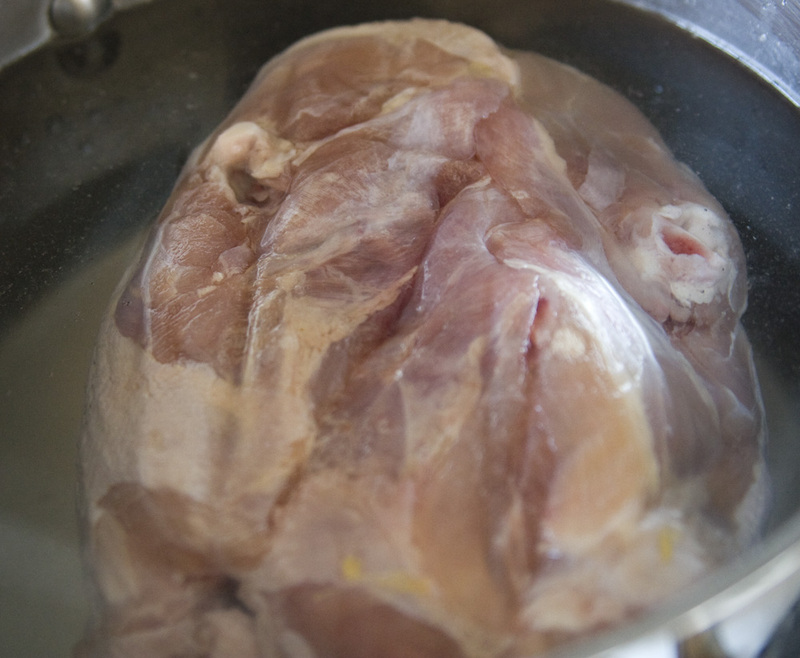 i got chicken stock (for the soup) and about 2 cups of meat out of it. 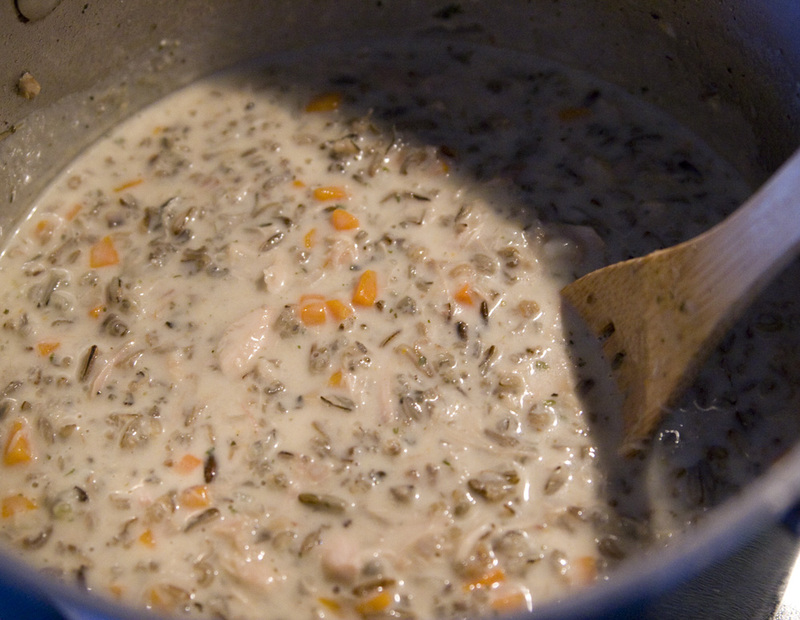 i threw in the chicken, half a pound of wild rice, carrots, onions, mushrooms and a handful of chopped celery. also put in a lot of salt, pepper, thyme and marjoram. oh, and a clove of garlic and shallot. i let this simmer until the rice was done. then i put in 2 cups of cream and slurried a couple teaspoons of corn starch. that didn’t make it thick enough and i was out, so i slurried about a 1/3-cup flour and put that in there too. voila! thick glorious soup. i ate it with some sourdough and called it a good day.